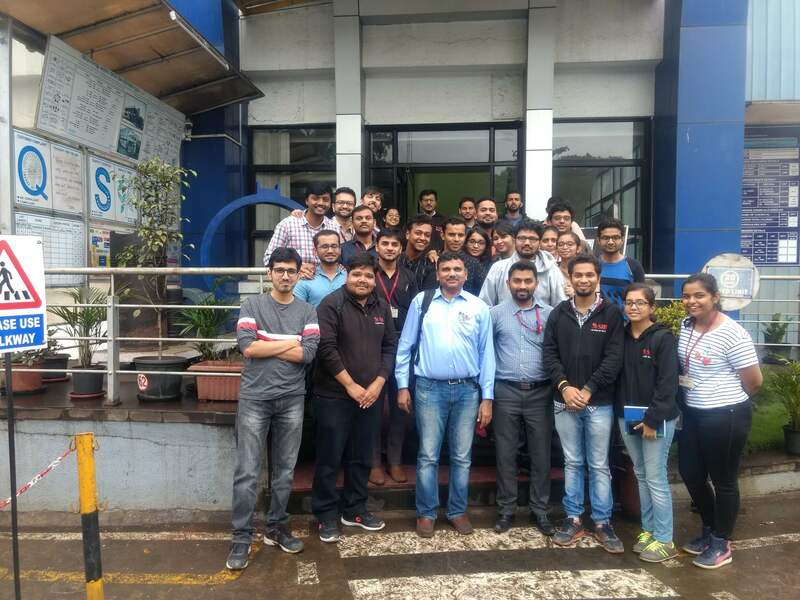 MBA Energy and Environment batch of EE 2017-19 got an opportunity to visit Kores Industry Limited, Chakan on the 22nd July 2018. The visit was organized as a part of the course curriculum of Energy Analytics. The purpose of the visit was to understand the integration of IoT in Foundry. It started with a presentation by Mr. V. K Purohit where he explained the concept of Foundry 4.0 in Kores. An interactive Question Answer session followed the presentation. The site visit allowed the students to understand the process of moulding, casting, fettling and various other process included in the foundry. After the site visit, the students were requested for any recommendations or improvements they thought were necessary. Students gave their inferences on energy efficiency, waste heat recovery, safety and many more. The visit proved fruitful in understanding the practical implementation of IoT.